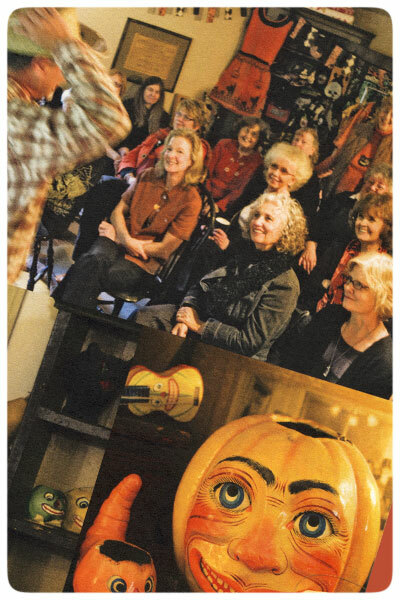 * I spy the costume-bedecked Bruce Elsass of the Hobgoblins Collection in his yellow and black Halloween prints. A tease of Halloween collectibles leave you wanting to see more, I hope! 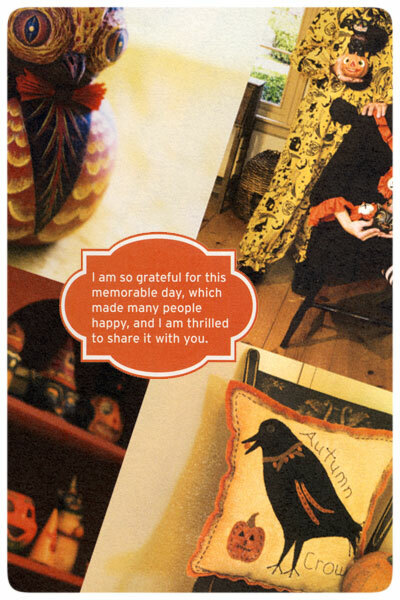 And, look at mom's "Autumn Crow" folk art original pillow.... Sweet! 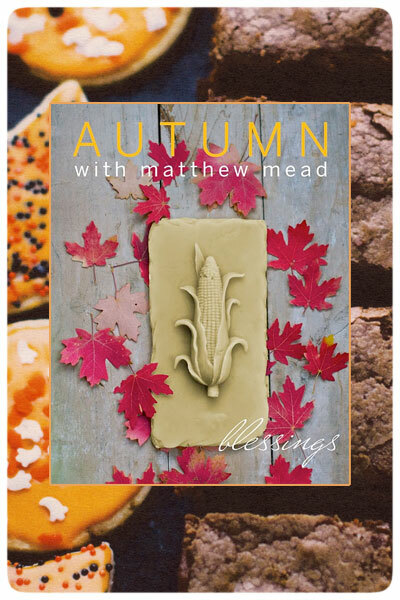 Many thanks to Matthew Mead once again for allowing me to bring this special Halloween story to you! 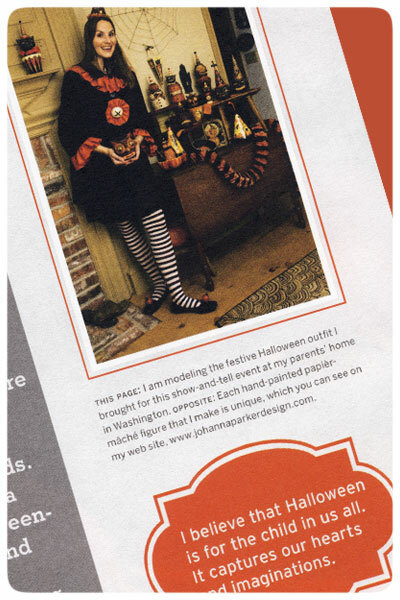 Photography © Johanna Parker Design, LLC & Matthew G. Mead Productions, Ltd.